While perfection may not be attainable, excellence surely is. Every day, Tolson Comfort Systems sets out to prove that excellence is a maintainable standard. Whether installing a new system or repairing an existing air conditioning unit, our goal isn’t complicated. We strive to be the absolute best at everything we do. Tolson Comfort Systems provides the service our clients need when they need it. As in everything we do, we strive for unqualified customer satisfaction with each and every service call. We maintain a fleet of service vans stocked with the most commonly used parts, enabling us to respond to your need quickly and efficiently. Our factory trained technicians undergo continuing education throughout the year to keep up to date with the latest technologies, equipment and processes. These experienced professionals are able to perform service and maintenance on the majority of makes and models. Even if we did not install the equipment, Tolson Comfort Systems can handle your service and maintenance needs. When your problem can’t wait, Tolson Comfort Systems is available with 24-hour a day year round service. Our off-hours dispatcher places you in touch with our skilled technicians to address your specific emergency service needs with the utmost expediency. For more than three decades discerning homeowners have turned to Tolson Comfort Systems when it’s time to replace their air conditioning systems. We’ve earned a reputation for integrity that our clients appreciate. They trust us because we’ve earned their trust throughout the years as we maintained and repaired their existing systems. They know that we take pride in doing the right thing, even when no one is watching. That’s integrity. That’s Tolson Comfort Systems. It’s a common question once a system begins to show the typical signs of aging, such as frequent breakdowns or inefficient performance. Once a system begins to fail, the chances are great that it will only continue to break down. So rather than invest good money in a bad system, it’s probably a better investment to replace your old system with a new one. Considering that you could reduce energy bills considerably with new high-efficiency equipment, keeping your old system is actually costing you more than you may realize. Tolson Comfort Systems knows the systems we install inside and out. Our extensive knowledge of these systems makes it even easier for our skilled technicians to professionally install a wide variety of air conditioning and cooling systems including Central Air conditioning systems, Mini-split systems, Heat Pumps and Geothermal Systems. Providing options that make you comfortable. 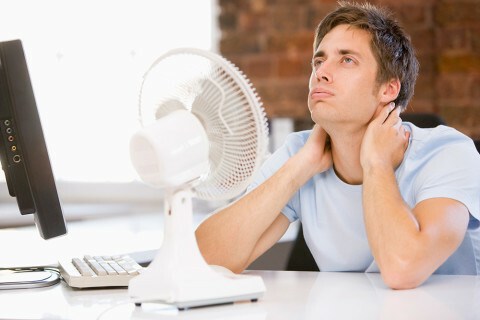 Your new air conditioning and heating system should provide comfort even before it’s installed. At Tolson Comfort Systems, we take the time to explain why we recommend a particular system. You’ll know as much as you want to know about the reasons behind our recommendation. We’ll address any questions or concerns you may have and walk you through the process so you’ll know exactly what to expect. And should you simply want us to handle everything from system selection to installation, we’ll do that, too. Either way, you’ll be comfortable even before the job is finished. You’ll enjoy the peace of mind that comes with knowing you’ll receive our most professional treatment when it comes to ongoing service. We offer Service Contracts because we believe in preventing costly downtime problems before they happen. Our maintenance agreement clients receive periodic preventative maintenance customized to your needs, and easy repair scheduling, at special pricing. Whether we’re performing a system inspection as part of your maintenance agreement or any other type of service, Tolson Comfort Systems maintains the same unwavering commitment to excellence when it comes to serving our customers year after year. We like being known as the Year-Round Comfort System EXPERTS and we work to earn that title with each and every customer.